Program fans have been a huge item this year. 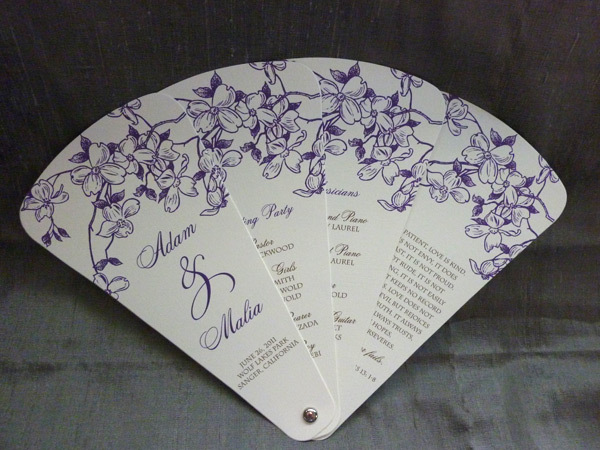 Brides and guests love them! I'll be sure to do a post soon showcasing the different designs & colors that bride's have chosen. 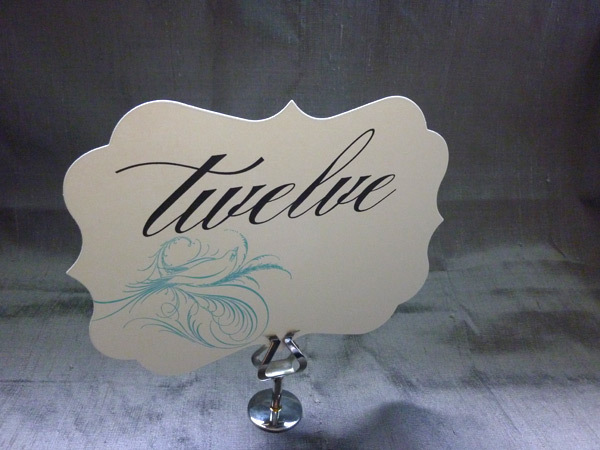 I'm a huge fan of the whimsical shaped table numbers and love them even more with the vintage bird motif!